To Pressure Wash or Not? Have you ever scrubbed away on a surface for hours and ended up unsatisfied with how it turns out? Pressure washing in Chicago can remove dirt instantly that has been stubbornly clinging on for years. But if you’re thinking of pressure washing in Chicago by yourself, be wary of the damage that kind of power can cause in the hands of amateurs. Certain surfaces can’t handle a high-intensity pressure wash and the settings need to be carefully adjusted to ensure that no damage is done. Professionals know exactly which surfaces can and cannot withstand a certain type of pressure. They also know exactly how to make your home shine without doing any damage. Here are four common surfaces that you may have questions about. Can I pressure wash it? Absolutely. Cement is tough enough to handle the blast from a pressure washer. If you are irritated with that grease stain or moldy cement that seems to be a fixture on your driveway, pressure washing can blow it away in moments. Maybe. 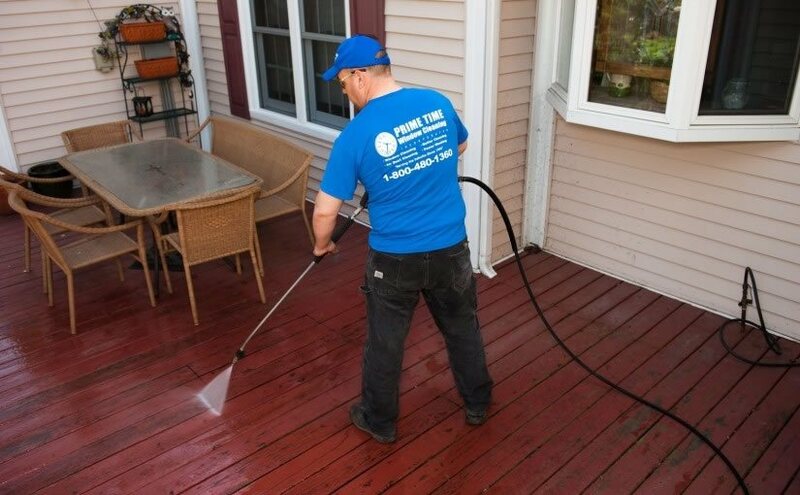 Depending on what your deck is made of, it may or may not withstand a pressure wash. Decks made of pressure-treated wood may need to be washed on a lower setting at first to make sure the wood is not being damaged. The safest bet here is to have a professional take over. Again, it depends. Certain sidings can handle the power, but not all. Vinyl siding will be fine, but aluminum could be dented from the pressure. Also, if you think your house was painted before 1978, you should test the paint to make sure it is not a lead-based paint. If so, it should not be pressure washed. No. People do, but the risk is certainly not worth the reward. A car wash will usually satisfy all your needs and without risking a ton of damage to your beautiful car. To see what the best pressure washing in Chicago looks like, get in touch with Prime Time Window Cleaning. Our professionals have been pressure washing in Chicago for many years. With a full lineup of services, like gutter cleaning and window cleaning, we’ll ensure your home or business shines like it should. 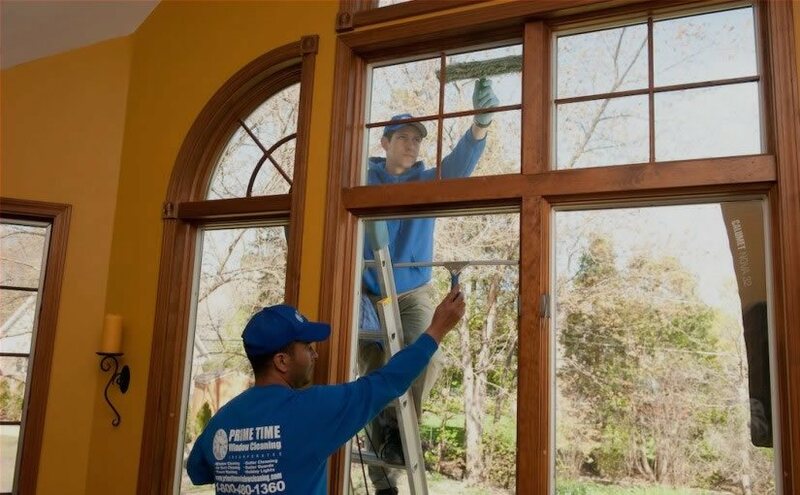 To learn more about Prime Time Window Cleaning, feel free to browse the rest of our site. Or pick up the phone and call us today at (855)635-5591 to make an appointment!